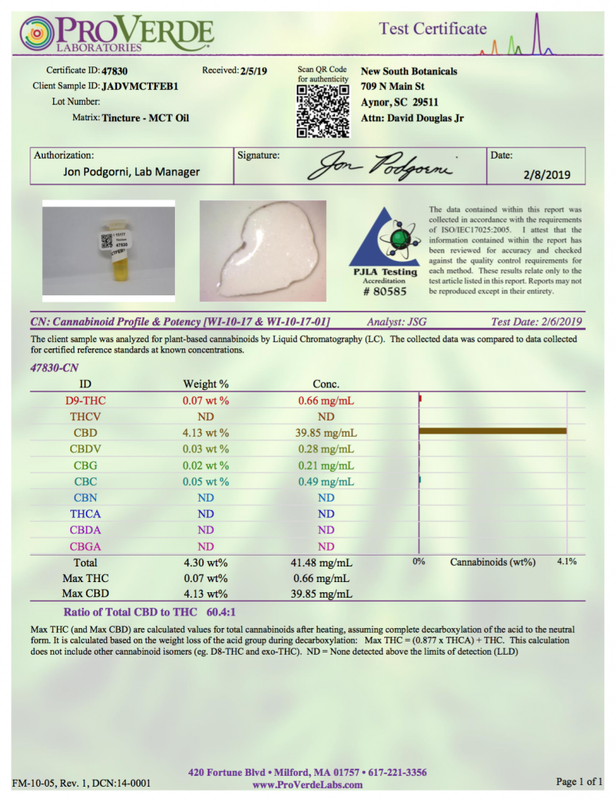 New South Botanicals takes lab testing seriously, and it all starts with our procurement process. 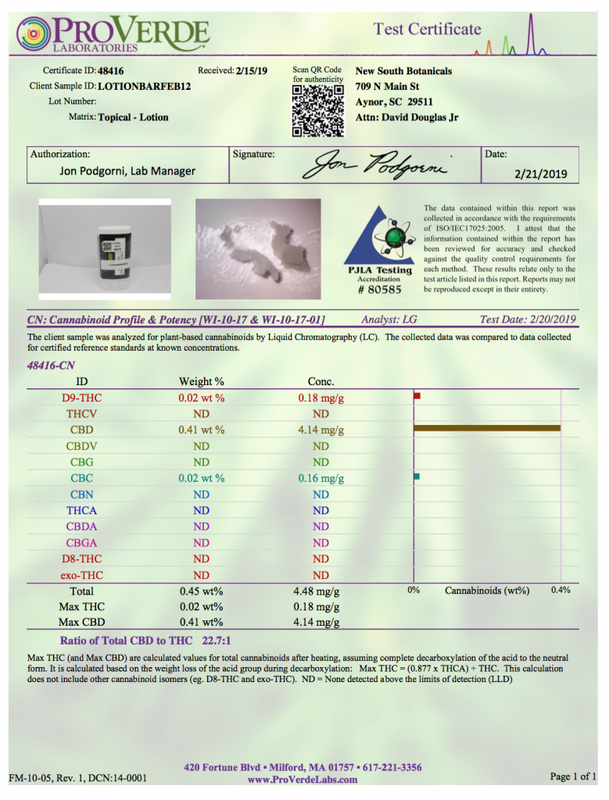 Samples from new batches used in our products are first tested for pesticides, heavy metals and residual solvents before being used in any products. 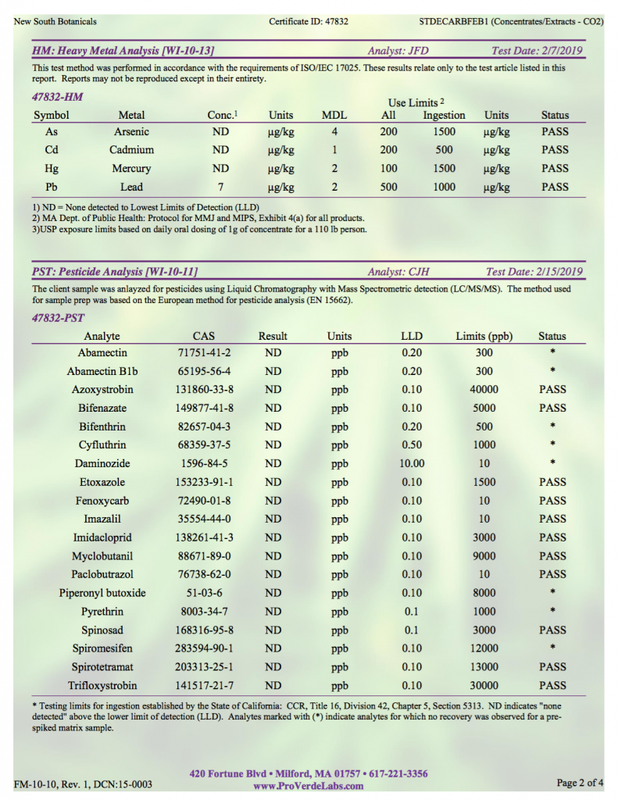 Assuming there are no contaminants (i.e. 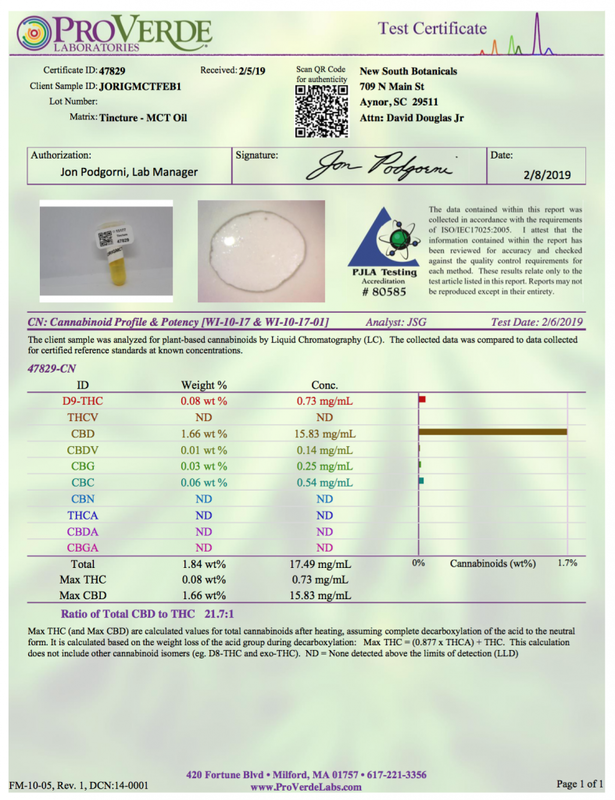 the product is safe), the much more extensive testing regime geared towards hitting target cannabinoid (CBD, etc) concentrations continues for each batch. 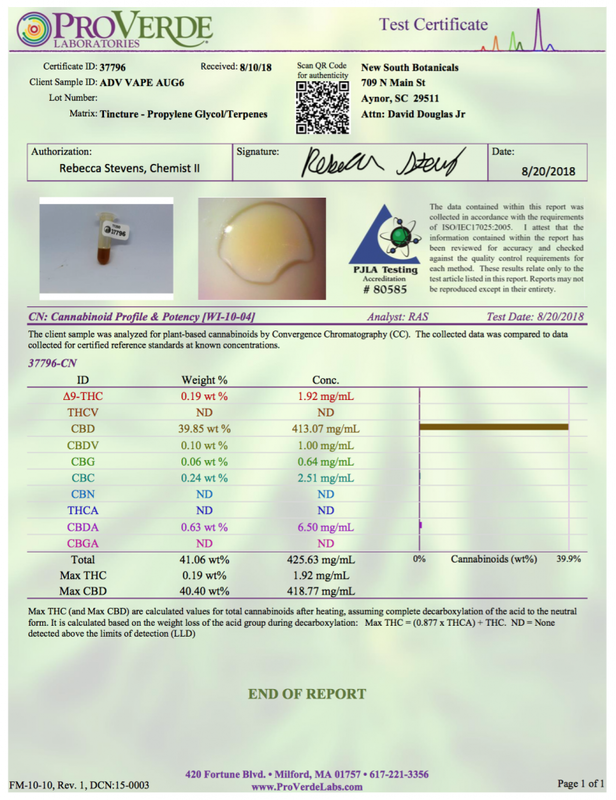 We test each batch of product that we make and continually adjust our formulas based off these results to make sure you get exactly what you pay for. 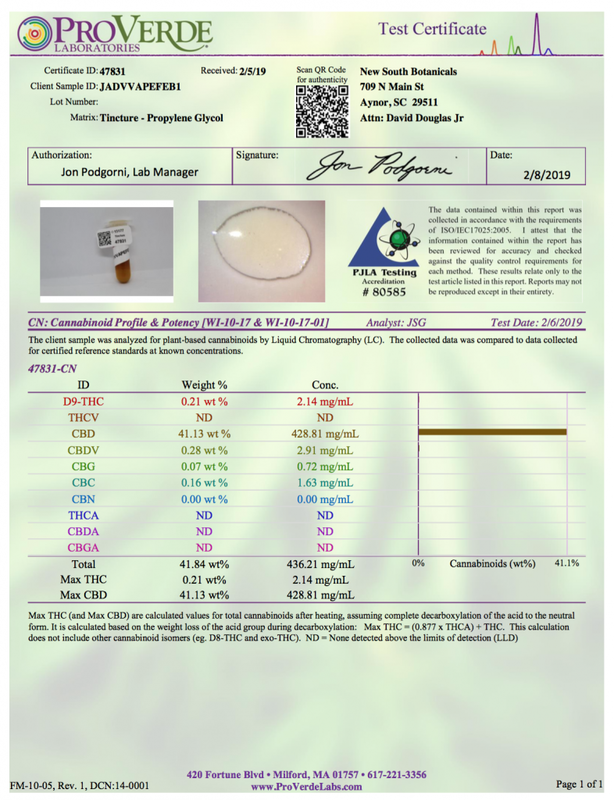 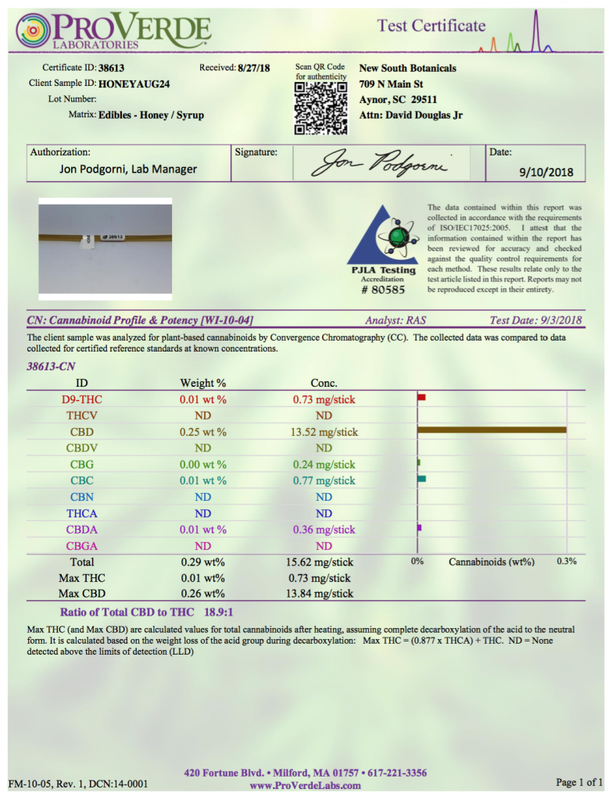 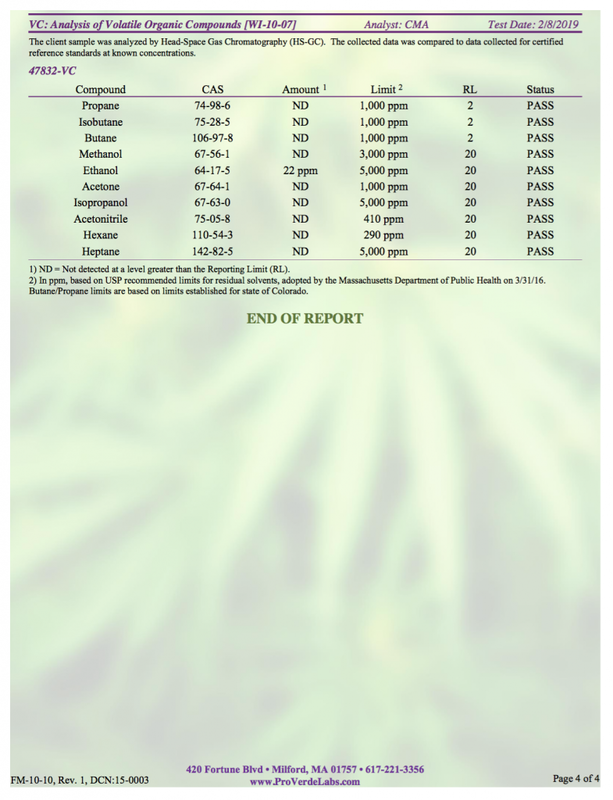 Since beginning product development in September 2017, we have done enough lab tests to fill a 5 inch binder using a third party ISO-certified laboratory in Boston, MA that is widely regarded as the industry standard when it comes to accurate cannabinoid potency tests.